If you’re shopping for a new bed, learning about the best mattresses of 2019 is a good way to make sure you choose a good one. It’s also helpful to know which ones don’t fare so well in order to avoid the duds. New mattress models come out every year from a growing number of retailers and manufacturers. For those who are not familiar with the terminology, materials and sales tactics, we’re often told that buying a mattress can be very confusing. There are many different beds out there and it can be difficult to cut through the marketing and identify the best beds for your money. If you’re feeling unsure about your next bed, don’t worry: The Sleep Junkie is here to help! Our Recommendation: Amerisleep AS3 — The Amerisleep AS3 is our recommendation because of Amerisleep’s focus on technology that actually helps you sleep better. The AS3 is extremely comfortable for all types of sleepers and sports a cover that the FDA determined1 promotes better rest. Add in the nearly 5,000 reviews and 100-night sleep trial—it makes sense why the AS3 is our top recommendation of 2019. Second Place: BedInABox Tranquility Gel — While it doesn’t have the advanced technology Amerisleep has, BedInABox does have a solid entry into the memory foam mattress category. Another option: Serta iComfort Savant II Plush — Even thought memory foam mattresses have a higher owner satisfaction, some people still prefer innerspring beds. Serta’s offering is more expensive than our top pick, but it does have a decent return policy and warranty. Our pick for best mattress of the year is the Amerisleep AS3. Here are just a few of the key highlights that influenced our decision. You’ll find a full evaluation of the AS3 and the year’s other standout mattresses in the next section. First, an impressive 99% of Amerisleep customers rate the AS3 three or more stars. Customer satisfaction like that means they designed an exceptionally comfortable mattress. They use a fabric called Celliant in their cover that the FDA determined promotes more restful sleep1 — so you can trust that you’ll sleep your best on an Amerisleep. They also created memory foam that is more breathable, so you stay cool and comfortable, and responsive, so you don’t feel stuck as you move throughout the night. Plus they have a transition layer that provides additional, targeted support for common pain points like the lower back (which 81% of consumers said was important to them). Amerisleep stands behind up their amazing mattress with best-in-class customer support, too. That’s probably another reason they get such great reviews. Amerisleep offers a 100-night, risk-free trial so you can test your new bed in your home for over three months to make sure you love it. Once the trial is over, they protect your purchase for a warranty that spans two full decades. Oh, and did we mention that the AS3 was also the most affordable memory foam mattress on our list? After pouring over the details for every mattress we looked at, we recommend: The AS3 by Amerisleep. The most popular mattress types currently are innerspring and memory foam mattresses. These are the two types you’ll see most often in the market, whether you shop in stores or online. Memory foam tends to receive higher ratings in mattress reviews compared to their spring-filled counterparts, though innersprings are more commonly available. In terms of pricing, the two categories a fairly similar, making it a matter of personal preference above all. In this review we’ve taken much of the work out of the process for you. 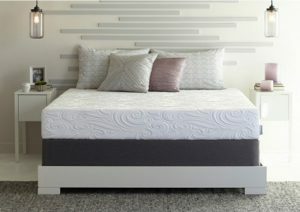 Using data from consumer reviews and independent reviewers, plus research data about what consumers say is most important to them in choosing a mattress, we examine five of the best rated memory foam mattresses and the top five innerspring beds of the year and ranked them accordingly. The Amerisleep AS3 is our pick for best bed of the year, both in the memory foam category and overall. It’s the most comfortable mattress we found, thanks to the outstanding attention to detail, materials, and design Amerisleep brings to the table with over a decade of mattress-industry experience. Starting with the cover, they use a material called Celliant that the FDA has determined promotes more restful sleep. That alone ensures you’ll sleep your best on an Amerisleep, since none of the other companies we looked at have materials certified by the FDA. Check out our guide on Black Friday mattress sales to see if our top picks are on sale. Inside the mattress, they use three revolutionary foams. Their Bio-Pur memory foam has an “advanced open-cell structure” that allows it to be more breathable and responsive. That means it keeps you cool instead of trapping heat, and won’t make you feel “stuck” if you move around at night. Their Affinity transition layer provides additional, targeted support for common problem areas like the shoulders and lower back. This foam layer contains precision-cut channels that allow it to give more cushion where you want it and more support where you need it. Plus the channels help provide additional airflow, keeping you even cooler. Finally their Bio-Core base layer is supportive and made to last. It’s part of why Amerisleep can offer two full decades of warranty coverage with the most customer-friendly terms. Amerisleep’s foams are revolutionary because of their performance alone. But they went one step further by using eco-friendly manufacturing processes. They partially replace petroleum with plant-based materials, which is better for the environment. They also make their foam using process called VPF, Variable Pressure Foaming, that produces virtually zero emissions. Amerisleep also offers a risk-free, 100-night sleep trial on top of their two-decade warranty. That way you can try the mattress in your own home, on your own bed frame or base, for more than three months to make sure you absolutely love it. If you don’t, as long as you’ve given it a fair chance and tried it for at least 30 nights, they will recycle or donate your mattress, and give you a full refund. But perhaps the best thing about Amerisleep is that they operate online instead of through traditional retail stores. They ship their mattresses directly to their customers, which lets them cut out the middleman and pass along the savings to you. That’s why, despite offering the most comfortable and advanced mattress available, it’s also the most affordable one on our list. To summarize, Amerisleep uses the most advanced materials to make the most comfortable mattress at the best price. It’s no wonder that 99% of their customers rate them three or more stars! And that’s why we recommend the Amerisleep AS3 . Update: It looks like Amerisleep has a pretty good sale happening now for the AS3 mattress. They’re already one of the more affordable ones on this list, so this could be a good thing to take advantage of while they have it. Serta iComfort recently updated its collection in late 2016, and the formerly popular Savant model received an update to its third generation. It comes in both plush and firm, and though current reviews are limited, based on past performance, this model will likely be a standout in this line amongst the more affordable options. The brand discloses information on layers and thicknesses, but does not provide details on ILD or densities. It is estimated in some places that the gel layers are 4 lb. 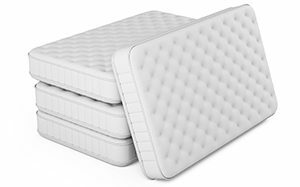 Both firmness levels have poly foam, traditional memory foam, and gel foams. Overall the Serta brand comes in average to slightly above average, with lower complaints of heat and odor than brands but higher reports of impressions and durability concerns. The iComfort Savant does come with a 10 year full replacement warranty and 120 day trial period. Simmons Beautyrest Black Ice Phoebe is a memory foam mattress that will satisfy side sleepers. Simmons’ Beautyrest Black is a strong contender in the mattress industry. While some in the line are hybrid mattresses, this particular model is a memory foam mattress that will satisfy side sleepers. This mattress uses four distinct layers for comfort, cooling, and support. With multiple technologies working together, you should have a soft, yet supportive night’s sleep. One of the bigger complaints about this mattress is that it suffers from sleeping hot. Of the reviews we found, most, if not all, mentioned that this bed retains heat. BedInABox Tranquility Gel gains popularity for comfort and decent durability, typically mentioned in reviews. Another mid-range model, the BedInABox Tranquility Gel earns 4.8 of 5 stars from over 20 reviews, and also comes in above average in other online sources. This model appears to be one of the more popular ones in the line. The brand uses a lower density memory foam than many others in its price range at only 3.0 lbs, though it does have a high resilience core. Comfort and decent durability are also typically mentioned in reviews. The Tranquility Gel receives above average heat retention and odor complaints, however. While BedInABox offers a long trial period, customers who do want to return reported disliking BedInABox’s policy requiring them to keep the product for 60 days prior to returning. Learn more: Does gel actually help you sleep cooler? 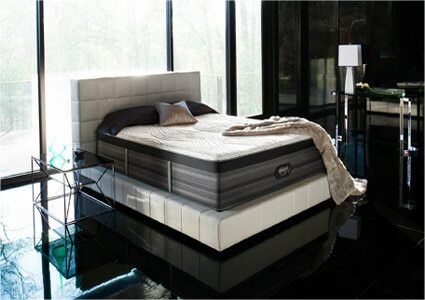 The Optimum line is Sealy’s foray into memory foam, focusing on the gel-infused category and cooling technologies. They use gel infused foams in each layer, including the memory foams and poly foams whereas most brands just use a gel memory foam layer. Like most of the other big-name brands, the Optimum line is light on specific details like foam density and ILD, but they do provide a breakdown of layer thicknesses. The Inspiration Gold line is in the mid-range of the collection, with five inches of gel memory foam for a plush feel. Though few reviews are available online for this mattress, overall the Optimum collection rates about average with consumers. For conformity and motion isolation, they score very well. For support, comfort and odors/offgasssing, Optimum beds rate around average. However, an above average amount of people seem to experience sagging and impressions and despite cooling claims, Sleep Like The Dead says that over 11% report sleeping hot. A 10 year full replacement warranty backs the bed, though it looks like the specific return policy as well as the price you pay will depend on the retailer you shop at. FAQ: Are memory foam mattresses safe? Innerspring mattresses may have been around longest, but memory foam has a higher owner satisfaction. 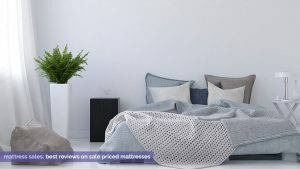 Sealy’s Hybrid line receives really good ratings compared to other spring mattresses and the entry level Cobalt model does well with 4.5 stars on average. The Cobalt is on the lower end of the price scale for their Hybrid group (this is based on U.S. Mattress, though other retailers use different names and pricing). With 875 wrapped titanium coils and foam comfort layers, this series has good comfort and support. The Sealy Hybrid line is about average on motion isolation, heat retention and odors. Durability may be an issue according to some reviews. Sealy Posturepedic does not reveal their foam densities and the confusing naming system makes it difficult to compare to others and even between stores however. This collection comes with 10 year full replacement warranties, though return policies will vary by seller. Lifekind is one of the few options for organic beds, and they are an established online seller. Their innerspring options contain materials like organic wool and latex, and the line tends to get good reviews. The Traditional model doesn’t have extensive reviews online, but the ones that are available rate it well above average. This bed comes in medium and medium firm, with an organic cotton cover and comfort layer. The support base is composed of bonnell coils, which can be fairly good for durability, but may lack in motion isolation. While Lifekind tends to be pretty open about their materials, specifics on coil count and coil information aren’t posted online. The cotton batting can be prone to compression and wear, but the Traditional is two-sided, so it can be flipped. This brand offers a 20 year warranty (10 full) and 90 day return period. The popular Serta iSeries collection underwent a name change for 2016, now becoming the iComfort Hybrid collection. Formerly, the Applause model was lauded for good reviews and comfort in past years, and this is being replaced by the Applause II, which comes in both firm and plush. Both models will likely rate well with consumers, though the newness of the collection could bring some surprises. This Applause II model is one of Serta’s low-to-mid range priced beds. It includes two inches of regular foam and 1/2-inch of gel memory foam in the comfort layers, supported by 952 dual pocket coils (coils placed inside of each other). Serta doesn’t disclose foam density, but theirs tends to be of decent quality and mid-range density levels based on estimates. The Serta iComfort line generally performs well on motion isolation and durability, as do most of their models due to containing independent coils. The price of the Applause is higher than some lesser known options of similar quality, however, but they do offer a 10 year warranty and 120 day trial period. The Beautyrest Recharge Luxury Firm by Simmons does well on the ratings from retailer sites, with around 4 to 4.5 stars. You may find it listed under different names depending on the retailer. It is priced at the lower end of the Recharge line, with prices typically below $1000. With 800 individually wrapped titanium coils, the Recharge Luxury Firm has an above average coil count for its price range. Gel and traditional foams are used in comfort layers, but Simmons does not disclose their foam densities. Layers can vary slightly between retailers as well, so it’s important to look at the specifications when comparing. The Recharge line performs better than average in motion isolation, comfort and support. Heat retention complaints are also relatively low.Longevity and durability can be problem with the Recharge line and Simmons products in general, however. Premature sagging is reported from customers fairly often. Looking at adjustable beds? Read how to find the right one. Customers also report having trouble with warranties and returns, too. Consumers have lodged several complaints with the Better Business Bureau concerning problems with warranties and returns. It may be wise to choose a retailer with a good return policy when shopping. Also, be aware that discrepancies in naming can make comparison shopping tricky. 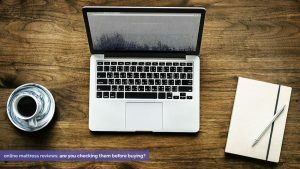 Stearns and Foster is generally marketed as a high-end line compared to sister brand Sealy, but reviews can be subpar compared to cheaper cousins. The models that do tend to perform average or better are those with latex layers however, as in the Lux Estate line. The Luxury Firm is a mid to high range option in this group with a small amount of good reviews. This model is made with gel foam, latex and various polyurethane layers. It also has a silk and wool blend fiber batting. It is not specified what percent of the latex is natural. The support system uses pocket coils, with an above average count. Like most other brands, this bed comes with a 10 year full replacement warranty, with the retune policy depending on seller. Since Stearns and Foster allows dealers to rename the beds, comparison shopping can be difficult and prices may vary considerably by store. Independent review sites such as Sleep Like The Dead and a few others accumulate data from consumers. There is a lot of information out there on our sleep preferences, and what people tend to find good and bad in beds from reviews. While we are all a bit different and comfort is subjective, there are some places we seem to agree. When you’re looking for the right mattress, these are the factors that research and statistics suggest you might want to avoid. While this may seem obvious, it needs to be stated. You may think you’re getting a steal on a very cheap bed at a discount retailer or during a big sale, but the retailer may have the last laugh. Mattresses that go for $450-$550 or less for a queen tend to receive the lowest customer ratings overall. You may want to look in the average to mid-price range ($800-$1500 or so usually nets beds in the average to great satisfaction range). Reviews of these beds can be deceiving. Customers may give the mattress a glowing review after only a few days or weeks of using it. Cheap beds overwhelmingly have problems with longevity and durability, however. While initially comfort can be just fine, cheaper materials break down quicker, and will need to be replaced considerably sooner. Research has also found that cheaper beds are linked with more back pain. Try to see what customers say about early sagging or impressions and consider the length of time they have been using it. A reviewer who has used a bed for several months will have a better idea of the quality. Promotional mattresses are often advertised as “doorbusters” or with other marketing terms used to get customers interested. As with all very cheap options, the quality is often not what customers are looking for, even if the price may be a steal. You may find these beds have little to no warranty or return policies as well, so if you’re shopping during as sale, be sure to do your research. Pay close attention to the mattress sales that are upcoming as well to get the best deal. That’s not to say there is no use for these types of beds, as they can be great for guest bedrooms or temporary situations. Make sure you know the limitations of the bed you’re buying, though. If you need a bed to last a long time with regular use, you may need to spend a bit more. If you’ve ever tried to sleep on a bed with poor motion isolation while your partner or pet tosses and turns, you understand the problem of motion transfer. Innerspring mattresses that don’t have individually-pocketed coils usually have the most issues with this. If you are a light sleeper, a bed that transfers motion too much can be a nightmare. Memory foam and latex beds are rated as the best for motion isolation, with pocket coils and hybrid spring beds also performing reasonably well. Around 9% of memory foam owners say they sleep hot. Manufacturers have tried to combat this in several ways. Gel was introduced in order to make memory foam feel cooler. It often does make the foam more cool to the touch, but roughly the same amount of gel memory foam owners report problems with heat retention, likely because the gel eventually acclimates to the sleeper’s body temperature. Plant-based memory foam has a more open foam structure which allows for more breathability, as described in a study by Cargill. Air moves through the foam more freely so you sleep cooler than traditional options, which can trap heat. “Overall, memory foam beds have a fairly high rate of heat complaints compared to springs and other non-foam mattress types, but significant differences are present across different brands and types of memory foam. For traditional temperature-sensitive memory foam, complaint rates tend to be around 8-12%, with higher density beds sleeping hotter. Gel infused memory foam feels cooler initially, and these mattresses tend to have heat complaint rates of about 6-8% (with models that have gel close to surface feeling coolest). Plant-based memory foam can sleep up to 25% cooler than other types according to some studies, and plant based mattresses have lower heat complaint rates from 2-6%. As a whole, memory foam mattresses have an owner satisfaction rating of about 81%.”–from SleepJunkie.com. The thinner the mattress, the lower the comfort ratings, typically. A bed has to have some substance to it in order to provide both support and cushion for your body. Heavier people and side sleepers need a bit more padding, too. Laying on your side causes you to sink in more, as does being heavier, which means thicker comfort layers are typically needed to avoid pressure points. People between 250-300 pounds shouldn’t buy a mattress that is thinner than 10 inches, according to research by Sleep Like The Dead. People over 300 pounds may find that their ideal mattress in terms of comfort is closer to 14 inches thick. Lower density foams are typically found in cheaper mattresses, however sometimes even very expensive brands still use materials that may be considered poor quality. Low density foams are less dense, essentially because there is less material and more air in them. As a result, they are more likely to develop impressions quickly, and they also provide less support and cushioning. Try to find medium to high density foams if you are looking for bed to last a long while. A great return policy doesn’t necessarily mean the mattress is going to be a great match, but it is a good sign of quality and the retailer’s confidence. Knowing you can easily exchange or return a product gives you some peace of mind. You don’t want to be stuck with something you can’t use, after all. The showroom experience can be misleading, too, which is what makes return policies important. A study showed that people are essentially left to chance when selecting a bed in a showroom. Make sure you have some time to sleep on the mattress in the comfort of your own home to see if it is a good fit. You should have at least 30 days in your return policy no matter where you purchase it. Just as a good return policy is indicative of a decent product, so it goes with warranties. A company should have no problem standing behind a quality product. A middle-range mattress should have a full-coverage warranty of around ten years against defects and deep impressions. You have no idea if your new bed will last 10 years when you purchase it. But, a warranty will ensure that you are protected in case it doesn’t. If a brand offers less than 10 years full coverage or no warranty, it may be indication of the quality and longevity you can expect. It’s the oldest trick in the retailer’s book. Take the price of a product and inflate it, then offer enticing discounts. One of the most common complaints from consumers is related to overpaying. Price is intimately related to product satisfaction. A mattress can be perfect, but if you pay too much for it, it make make those dreams a little less sweet. Misleading discounts can also be used to pressure you into a sale before you’ve had time to shop sufficiently. Be wary of companies using mediocre materials, but spending millions on advertising. These costs have to be passed on to customers. You can find quality mattresses from places that spend much less on advertising and more on their materials. As always, do some research on what’s inside and make sure it measures up to the price compared to other options. Try mattresses of varying firmnesses and see what you like. The showroom is an awful place to pick a mattress for a couple reasons – one, it’s often uncomfortable to lay on beds in a store; two, selection is fairly limited; and three, you don’t know how long the beds of have been in use and how “broken in” they are. People often report receiving beds that are firmer or softer than the one they tried at the store, a common source of complaints in reviews. Make sure you have time to try the actual model at home to ensure it is the proper firmness. Many companies have lengthy return policies for just this reason. Get to know your preferences if you are uncertain. Try mattresses of varying firmnesses and see what you like. Medium-firm tends to be the most popular and will suit most people well. However, descriptions of firmness are subjective – one person or one brand’s medium could be another’s soft or firm. If you can find ratings that describe IFD/ILD, that is a more objective way to gauge and compare firmness (lower ILDs are soft, higher are firmer). Take your time and find the perfect mattress for you and your needs. In the end, the “best” or “worst” mattress is entirely decided by the individual. You’re more likely to end up satisfied if you get to know your preferences and thoroughly compare what is available. Ask the questions you need to in order to feel good about your purchase. Find out what it is made from and compare it to similar brands and beds. A good mattress should last you a decade or more, so do a little research — it’s worth your time. If you feel pressured by a salesperson, walk away. There will still be mattresses for sale if you decide to return. You can avoid high-pressure sales situations by shopping online as well. At the very least, take a look at what online stores have to offer. 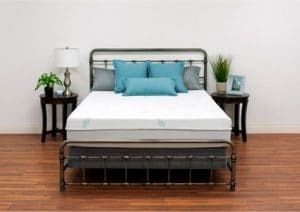 Online mattress retailers typically have a wider selection, less overhead and longer return policies, and may be a better resource for specialty beds like memory foam and latex than local showrooms. Of course, we recommend the Amerisleep AS3 as the best choice for most people. 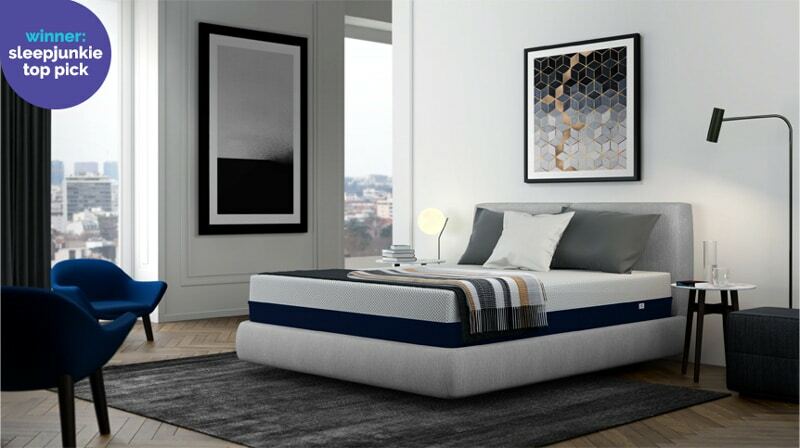 But if the medium-firm feel of the AS3 is not for you, you can also explore all five Amerisleep mattress options that range from firm to soft. And if you are still looking for more information on how to find the best bed, take a look at our articles on finding the most comfortable mattress or the right bed for back pain relief. Could you give me your opinion on “Lunazen” they said that a mattress should never come in the box or be compressed. Price for a queen is $1,099.00 seem reasonable. We have had a queen size temperpedic for 8 years. Original cost $2200,00. We hate it. Not breathable, hard to move around. Lower right side of my back hurts moving from right side to left so have to sleep only on left side. Started to look for new mattresses today. Went to Sleep Number, did not like. Went to Mattress Firm, did not like. We went to City Mattress and did like the Prana in a king size with and adjustable frame. The first one was the most expensive. Not in our price range. We did like the “Moon” one for the price range. After looking at some reviews, some said durability was an issue. I would hope not considering the cost. But it did not hurt my right side when moving from right to left. It was a medium firm. But if we get a King, we are not sure whether to get the top mattress in one piece as my husband prefers firm, I want the adjustable for head and feet, he not so much. Any suggestions, and what if any opinions on the style. Much thanks. And the number one you rated, how is return handled if necessary and who takes away old mattress and sets up new? What do you think of the Weakley Sealy mattress. I’ve had two back surgeries, have nerve damage in 1 leg. What mattress do you recommend? “The authors of this blog are employed by or consult with One Mall Group, which is affiliated with the makers of Amerisleep and Astrabeds.”, is quoted from your Disclosure statement. How can your review and choice for #1 mattress an Ameriasleep mattress possibly be considered legitimate? That’s an excellent question, and we are glad you asked it. When we review mattresses, we spend a significant amount of time looking at A) what the companies disclose about their beds, B) what other review sites have noticed and reviewed and C) what the customer reviews say. We continuously consult great sites like Sleep Like the Dead which use aggregate reviews of technology (latex vs. foam vs. memory foam vs. coil, for example). Our Disclosure is there for this reason, so there are no secrets. We provided the reasons we think Amerisleep is rated #1 based on our criteria. But one of our favorite things about Amerisleep is how transparent they are. Often when we are trying to find out other information about mattress companies, it becomes a bit of a wild goose chase. The Amerisleep website is full of information (inches, density, ILD, manufacturing process, etc.) that helps us immensely in making our decision. We also read the warranties and sleep trials in fine print (which some companies make VERY hard to find) to factor that into our recommendation. As always, we recommend you do some research to add to what we have covered here. We want you to make the best choice for you. In other words, you’re not doing any testing yourselves, merely collating bogus information and presenting it as original content. Individually-pocketed coils are the most important kind of mattress, as they automatically fit to your body, and are durable. The issue with them is the number of coils and how strong they are. The other requirement is that a mattress can be flipped. If you can’t flip it, it will sag from use and have to be replaced much sooner. I’ve had a Beautyrest for over 15 years, and while it is time for a new one, it is still durable. Sadly, it was after they gave up making two-sided mattresses, so I have to rotate it every two months. I also added some foam pads, to little effect. A firm mattress allows you to move around, to gain leverage, which a soft mattress makes very difficult. It is not very conforming, but allows the body to reposition. It was called Jackson, but the model names are different in every store you go to, so it doesn’t help to use the model name. Thanks for the comment. Individually-pocketed coils can be a great support system. We are glad to hear your Beautyrest has lasted so long for you. Personally, we think mattress technology is improving and are glad to see companies no longer make the flippable, two-sided mattresses as a good mattress, built from the core up, can really be a fantastic piece of comfort and support. Though some companies, such as Layla, are making a two-sided mattress with each side built for a specific need. For example, Layla has a firm side and a soft side. Other companies even make a “cool” side and a “warm” side. There is definitely a lot of information out there to digest and we hope you have found some value in our writing. We are not familiar with the Avro Mattress, but after doing some research found it is a hybrid model, combining the comfort of memory foam and support of pocketed coils. A firm hybrid mattress would be best suited for back and stomach sleepers. The Avro model is not listed on BeautyRest’s website, but we were able to find it listed on Sleep Factory’s website. With that being said, we cannot confirm the quality of foam used in the bed or reference customer reviews about the bed. Depending on where you buy this mattress from, it most likely will not come with a sleep trial— so we recommend you ask the retailer about the specifics of the warranty and if the mattress comes with a sleep trial. Bought a vesgantti mattress three month ago ,it is comfort . Thanks for reading! We’re happy to hear you’ve found a comfortable mattress! Hi, are mattress topers made of the same polyurethane foam as polyurethane foam used in mattresses? 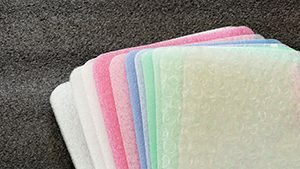 I have recently purchased polyurethane topper, too it out of packaging to air it. After 4 days it still have a faint odor. I didn’t realize possible toxicity. Any advice? Purchased from Sleep Country. Type that supposed to be cooling. Thanks for the question! Yes, a mattress topper may both be made from polyurethane foam but the quality will definitely vary. We don’t have significant research on toppers as a whole, but general feedback we have received has shown us toppers are more likely to A) have a faint odor and B) sink in over time. Let’s go over B first. If toppers are sinking in, it is probably because the mattress they are on offers inadequate support. For the faint odor, if it’s off-gassing the smell should get fainter until it disappears. Try and leave it uncovered and unused for a day. What is your opinions of Karlan beds? They seem extremely expensive. Are they worth it? Thanks for the question. Unfortunately, we are not familiar with Karlan beds. We went to do some research and could not find much online. When it comes to the price of a mattress, we always recommend our readers consider A) quality of materials, B) length of sleep trial, and C) length and specifics of warranty. Instead of buying a king, im thinking of buying two twins in different firmness, he likes it firm, i like it medium soft. Im not sure if this is a good idea though, wouldnt there be weird lump in the middle where the mattresses join? Im looking at saatva mattresses as they’re supposed to not off-gas as some foam mattresses can. We bought an expensive “dual” mattress from Sleepys aka Mattress Firm and very shortly afterwards realized we got sucked into a good sales pitch. It felt great at the store, one side softer or firmer than the other, but not long after we were sleeping on it we realized that there was a “hump” in the middle. I suppose this was the obvious result of what in essence is “two” mattresses in one. So what this means is that you actually have “less” bed to sleep on because the middle is higher than either of the two sides. You feel like you are in a hammock. No room to move around. Very annoying considering the amount of money it cost. Steer clear. Two twins? Might be a good idea. Have to consider how the middle would line up. Have you tried the Boll and Branch mattress? I’m seriously considering purchasing but would appreciate some input. We purchased the iCom fort mattress and motion bases from Mattress Firm. 8 years later, we are miserable. What do you recommend for someone who is a side and edge sleeper, and a husband who prefers a bit softer mattress. We are open to separate twin mattress but we constantly wake with pain and broken slee p patterns. What do you recommwns? We are sorry to hear that! Side and edge sleeper recommendations are tricky because (generally) a side sleeper wants a softer mattress and (again, generally) people often want firmer edges. You say you are miserable 8 years later. Was the mattress uncomfortable the entire time or just recently? You have motion bases, which can help greatly with pressure relief and pains. To get the best benefits from a base like that, we definitely suggest a split king (separate mattresses). But generally, a side-sleeper would prefer a mattress with a little extra cushion (a medium to medium-soft) to help fill in the natural curves of the body. I typically have a lot of pain on my joints and my hips and I have always loved Sealy Posturepedic mattresses. I see that memory foam is highly recommended however my husband and I due to medical conditions sleep very very hit. I typically have never enjoyed the memory foam mattresses due to the time it takes the mattress to adjust to your position,Is there a mattress that has cooling factor without the adjustment time with body positioning? My current mattress, a Westin Heavenly Cal King, is ten years old and showing its age. I loved this mattress, but have read recently that the “new” version is not the same as the mattress I have and will not hold up as well and will not work well on an adjustable base which I wish to purchase. I have gone to a big box store “Sleep Center” and they suggested a Pranasleep or a TemperPedic, both of which were $5,000+. While I know there are “sleep trials,” I would like to check firmness, etc. without committing to the mattress until I can see it. Sleeping on a mattress for 100 days and then sending it back and trying out another mattress means that I could not actually have a new mattress for a year amore until I find the right one. Where can you try out these brands? Also, what type of mattress is best for an adjustable base? Ever heard of the Wellsville Brand? If so what is your thoughts? I bought a Saatva mattress 2 1/2 years ago and should have returned it during their “trial period”. I have had to keep layers of memory foam on this mattress just to get some kind of sleep and relief. Because I am 6 months past their 1-2 year policy of exchanging a mattress outright, now I fall under their 3-5 year policy of either paying $198 tonhave it picked up and fixed in their wharehouse, or paying 30% of the original price to get a new mattress. I have explained to them I lost my job in May, and I’m going through a divorce which had destroyed my credit so therefore I cannot finance either option. In the meantime, I have had to discard the memory foam because it got old, and literally would be more comfortable sleeping on rocks! I lose feeling in my arms, have all day pain in my back, hips, neck, arms, etc., because the mattress pushes back at me and you can hear the springs making noise even when my 10lb cat walks across the bed. What do I do? Am I stuck? Any advice would be greatly appreciated. Great question! We aim to create value-driven, non-biased content to guide our readers in the right direction in their search for a new mattress. We have found that a lot of blogs mention the same brands time and time again, when there are a variety of other great brands to consider. We hope to introduce our readers to the benefits of these other not-so-common brands to help them make the most informed decision before making their purchase. Your reply regards why your mattress don’t show on any top ten sites is short and incomplete. Your reply alone isolates your review of your mattress brand without demeaning the “top tenners” that you were asked about. But I do realize you totally avoided the reply on the saatva mattress request. My opinion after all of the research being reviewed is that fifty percent of the population can probably sleep on anything and be happy, while the remaining fifty, including 25 percent whom never comment either way, will complain about anything they can because nothing in life is perfect. This is human psychology and response, and you are a salesman whom after all your reviews and comments have displayed what a top notch salesman trying to sell a product would do, be cool, be neutral especially while you repeatedly speak of your product in any context and offer just enough competition, specifically poor comparable models, that lets any reader feel their decision is entirely up to them, but subconsciously been steered by your salesman skills. “I think I’ll try your mattress” is what is expected to occur after reading your article and reviews. To be stuck with your mattress is the dilemma, no one wants to play swap out games with multi manufacturers until they get it right. Another sales ploy, offer returns for satisfaction and that proves you’ll back your product, what a hassle when your unhappy with your 1500 plus dollar new purchase. I can go on,,, I bought a mattress, five years later it had a big dip growing in it, I contacted the manufacturer, since the store front company went out of business, and after a little push and shove, and dealing with the ignorant administrative assistant, they replaced it, but not for equal or better as was stated, they have me a bogus memory foam base only. Mine was a one piece memory foam and pillow top, for which they had a different model but wouldn’t swap it out. Then after more fighting they sent me a separate pillow topper, and from that day on backaches and body aches with and without the topper. Point is, you don’t know what your getting in to until you actually have to handle a personal satisfaction issue. So long story short people, flip a coin for what you like, pray the reviews and sites you visit are real and not business generated. Everything you read or search or see in store or on TV is ADVERTISING, with one goal to make a sale. Each mattress could be expected to give you ten years if your happy, add that up and you’ll find that no average person will have more than 5 to 7 mattresses in their life, they’re just too expensive. So nice sales representation you bring. Once again, thanks for reading and thanks for the comment. I bought a Tufts and needle based on the cooling review. I am on the heavier side and it is hot! Is the Amerisleep a good deal for a single woman? I have never seen your brand listed on the other comparison sites. I have a question for anyone. What about Tempurpedic beds. We just bought one thinking we would love it. But I don’t, I think it is giving me lower back pain. We are coming up on the end of the 90 day trial. Thinking of sending it back. Wanted to hear if you know of any reviews or had any opinions. We are thinking of purchasing the Four Seasons hotel signature mattress set made by Simmons but can’t find many reviews about it. I wonder if you have some experience/information regarding this mattress or if you know what is the Simmons standard market comparable model? We found a great deal on the Simmons Beautysleep 10″ King Memory Foam Mattress-In-A-Box (700753930-8060). Could not find any reviews on quality, guarantee, firmness etc. Any comments would be helpful at this point. With my frequency of travel I have the opportunity to purchase a Marriott hotel chain bed at a 40 % off due to my status award. Do you have an opinion on the JW bed vs. Ritz Carlton vs. Westin heavenly bed. They have many other options but I’m thinking these might be there top three. Hi, What do you know about the puffy mattress? Thanks for reading and good question. Puffy makes two mattresses, the Puffy and the Puffy Lux. The Puffy is 10″ thick and the Puffy Lux is 12″ thick. They use memory foam (which we like) and they use gel memory foam to help combat heat (there are better ways to combat heat–for example, focus on making higher quality foam). However, they offer a great sleep trial and eco-friendly products. 10″ mattresses tend to be very firm, but 12″ mattresses are becoming the standard in optimal comfort. Thanks for the question! We did some surface level research into the Aviya. It’s an innerspring coil mattress (always keep in mind innerspring coil mattresses tend to rate lower on customer satisfaction) and we couldn’t tell if their product offers memory foam or regular poly-foam (a big difference between the two). They do offer edge support which, to some people, is a huge plus (makes it easier to sit on the edge of your bed but also limits your sleeping surface area). What about a Flobed? I feel like it couldn’t possibly be a proper comparison or top 10 decision without one of their mattresses apart of the test. I’d be curious to see how theirs matches up to some of these others you’ve reviewed. Thanks for reading and the question. We actually weren’t too aware of the Flobed (so thanks for bringing them to our attention, as we love reading about new mattress companies). We see they are a latex mattress company whose products offer quality materials and zoned support. Those are two great things to find in a mattress. Unfortunately, it looks like their zoned support is only available in their most expensive model. We have not done extensive research on them, but since they use natural products, offer a sleep trial, and use latex for support and comfort, they are worth considering. They are, however, on the more expensive side and some of their features are only available at a higher price point. Keep that in mind as you consider your options. Good question. When looking for budget mattresses (anything under $1000 for a queen, in our book) look at the brand name (you found one by Sealy, so that’s a good start) and the thickness. Not everyone needs a mattress that is a $1000+. However, you are also getting white glove delivery and removal. That cost the company money. That cost is covered by the cost of the mattress (even at its sale price and that is a great price). For example, some mattress stores only advertise their sets. So, a queen set is $500. But when you look at the invoice, you see $200 of that invoice was the boxspring. This means the mattress was only $300. The boxspring is hardly ever necessary (and sometimes actually leads to sagging). So ask them for mattress only items, and then you can spend $500 on a mattress of higher quality. When it comes to mattress shopping, making sure the most significant chunk of the cost is going towards the mattress will help you get a better value. What about Caspar mattresses? I see a lot of promotions for them and their designs but I’m hesitant. Have you or anybody you know voiced any feedback? Thanks for the question. Casper is a very popular bed-in-a-box company. Like a lot of bed-in-a-box companies, they come with a great sleep trial, letting you try it at your home risk-free (which is nice because sometimes it can be hard to find a store to try out the Casper mattress, though they are expanding retail locations). They make three mattresses, the Essential, the Casper, and the Wave (ranging from 8.5″ to 11.5″ in height and $600 to $2250 in price). The feedback we have seen is that, due to the low amounts of memory foam, the Casper mattresses are considered firm to medium-firm. Research shows medium-firm to firm mattresses work well with stomach and back sleepers. We just returned our Casper. We ordered the “Casper” which was 8.5” and within 3 weeks it created “valleys”. We are not large people either. It was disappointing to say the least and we are now hunting a new bed. Thanks for the question! A lot of bed-in-a-box companies make their mattresses to work with a wide variety of bases. Amerisleep is no exception. According to their website they want a flat or nearly flat foundation (that could be an adjustable bed, a foundation with wooden slats that are no more than 3″ apart, or even something as simple as the floor). Amerisleep, like a lot of bed-in-a-box companies A) sell their foundations and B) don’t want their mattresses supported by boxsprings. The reason, from what we can gather, is that boxsprings don’t provide adequate support and can lead to sagging in the bed. When it comes to the recommended base for the AS3 or AS4, it shouldn’t matter which mattress you get; the requirements are still the same. I have found a mattress $300 in IKEA with a 25-year warranty, spring mattress with foam top. $300 is definitely a good price for the mattress, assuming it is comfortable and of good quality. Always ask yourself: is it for me? Will I want to sleep on it every night? If this is an Ikea mattress, is it fair to say you can try it? Spend some time on it, see if you notice discomfort. “What is covered under this limited warranty? bases described above from the date of purchase from IKEA. The original purchase receipt is required as proof of purchase. This limited warranty applies to domestic use only. Our main concern with the warranty is it doesn’t seem to cover sagging (or if it does, it doesn’t tell us how much sagging is allowed). Sagging is always the main concern with a mattress. I brought an Ikea mattress in 2014 and although I got it on sale for less than 200$ it was the worst mattress I have ever had in my entire life. It is like sleeping on springs with a one inch layer of foam over it. How do I know the foam is 1 inch thick? I took the cover off of the mattress to wash it (very easy task as the entire mattress unzips around the entire perimeter. Unfortunately, the cover shrunk in the dryer (my fault) and I could not put the cover back over the mattress so I just laid it on top of the mattress and made the bed as usual. Overtime, the 1 inch piece of foam on the top separated from the springs. It is literally ONE inch thick! Might actually be 3/4 in thick. The springs don’t have any foam or anything in between them and there are 3 inch thick pieces of foam around the perimeter of the mattress to act as a bumper for the springs. It is a horrible mattress and everyone who has slept on it has complained about being in pain upon waking up. You don’t need to spend a lot to get a lot. The bed in the box, is made mostly for cheap plastic, that costs about 100 and then they sell to you for 1000 and up! We have a sleep number bed that is in need of replacing and I am starting to research options would appreciate sleep junkie review. I have a sleep number and honestly cannot sleep on it anymore. It is a queen. There are foam pieces that go around the outside and between the air bladders. They make the sleep zone too small. If you have a partner that prefers a soft setting and you prefer firmer, you will end up being pulled toward their side. Much like having a mattress with a sagging center. I sleep far better in my recliner. No back pain in the morning from twisting to stay out of the hole. Any review on the Nectar mattress? Please! Thanks for the question. We don’t have a comprehensive review of the Nectar as of yet. However, we took a quick look at their website and mattress specs. First, they use Tencel in the cover. Tencel is a very soft and breathable material, and we like it when we see it in mattress covers. Second, Nectar is 11″ thick but has a significant amount of memory foam (4 inches). It’s likely this mattress will feel very much like it contours to you, giving you a sleeping “in the mattress” feel. Nectar is one of the few online mattress companies who make their product overseas in China. There are both pros and cons to that and it is up to the individual consumer to decide if that is important to them. You haven’t chosen them but I want to review Ghostbed. I bought one this summer and am really sorry my warranty has worn out. I wake up every morning in a puddle. It was extremely expensive on my budget and Im stuck with it. Comfortable but don’t buy. Thanks for sharing your experience! We are sorry the Ghostbed didn’t work out! But again, thanks for sharing your experience on here for our readers. I sleep on my back 100% of time. I am in the market for a new bead that is much note firm. I do not imprints or sag spots from sleeping. What would you recommend for a back sleeper that needs firm support? You can never go wrong with Costco!! Their warranty and return policy is the best. Just don’t go too cheap. Wait for a sale and spend as much as you can. You get what you pay for. All mattresses are great for a year or two but then things sag. Quality will last. Thanks for the question. We did some research and weren’t able to find out much about that mattress online. It’s a good deal (dollars wise), but always consider: who is the mattress for? how long is it expected to last? how thick is the mattress (thinner mattress are almost always firmer and could sag quicker)? Are the coils individually wrapped? If not, the mattress could have bad motion transfer (if someone moves on one side, the person on the other side will feel it). Does it have any memory foam? A lot of budget mattresses have foam, but not memory foam. I’ve been mattress shopping. 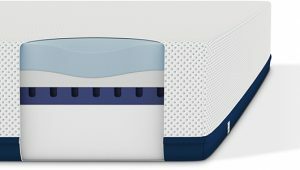 A friend of mine recommended that I look into a sleep number bed. I’ve visited a couple of stores to test out the beds. They are quite expensive and they have a good reputation. I was wondering why I never saw a rating for the sleep number bed on your website. Is there a reason why they were not in the top 10? We purchased a sleep number i10 in 2011. Although it is still very comfortable, the mattress has shifted badly to one side and were going to have to replace. I am s/p 2 back surgeries and suffer from fibomyalgia, so a softer bed works best for me. Do you have any uggestios? We have had a Sleep Number bed for about 15 years. We bought our bed when there was only one Sleep Number model…what would today probably be their basic model. We have used it with a third-party two-inch memory foam topper since almost the beginning. We find it extremely comfortable. So much so, that whenever we travel the hotel bed almost never feels as comfortable as our own. Perhaps the most important thing, though, is that the bed is as comfortable today as the day we bought it. Wear and tear is a total non-issue with our mattress. My biggest pet peeve is the fact that if I want to adjust my side due to whatever, I have to wait until hubby gets in bed otherwise the weight he puts on his mattress messes with my bed. My air pump has finally gone out after 6 years and sleep # offered a yearly prorate so will cost me 250.00 to replace that. I bought a sleep number p6 in August because my brother raved about his and my husband has back issues. I’m not at all impressed and I don’t look forward to getting into bed at night. I am a side sleeper and my shoulder started hurting after a month. I called to return it and they sent me a free Variacool layer. I’ve tried it for a few weeks now and I’m still uncomfortable, tossing and turning often according to their app. I feel like I am sleeping on an overpriced air mattress at best. Mine is going back on Monday and I can’t wait to sleep on my old innerspring mattress! I received a sleep number bed as a gift. YUK. Very uncomfortable and stiff. I would not recommend this bed. I can get a brand new Full Purple Mattress that retails for $899 for $ 150 is it worth it? Thanks for the question. In terms of dollars, you are getting a good value. Our main questions are A) who is using it and B) does the person using it find it comfortable? $150 for a mattress you can sleep on is a great deal. $150 for a mattress that isn’t comfortable for you is less of a deal, in our book. Also, is this mattress new or used? Does it have a sleep trial or a warranty? Usually deals like imply final sale, as part of the deal. Again, it comes down to who is using the mattress and how they respond to it. Thanks for the question. You are referring to a bed-in-a-box mattress. Bed-in-a-box companies often offer great products at a fair price (they say it’s because they cut out the middleman). After all, Amerisleep is a bed-in-a-box company, and their AS3 was our number one pick for the best mattress of 2018! However, sometimes a deal is too good to be true. When looking at those companies, look at their Return Policy make sure you can return it easily and with no hidden fees. Make sure it has a fair warranty (10-year minimum should be a must). How long has the company been in business/how many reviews they have on their product? How thick the mattress is and what are the materials used? For example, thinner mattresses (10″ or less) tend to be firmer. Also, if it’s a memory foam mattress, is the memory foam designed in any way to help promote breathability? What are reviews for the sleep number mattresses? Good-Bad? 2nd sleep number. This one is no better.. Pump has already been changed, not sat up properly. What they do not tell you is 1. You can not use this bed if you have a pacemaker or use oxygen. The salesperson does not disclose this when purchased. Sending it back. Last time. Sn pumps, sheets, covers, etc are too, too high in price. Congratulations on your purchase. We hope it works out for you! Sealy is a well-known brand and leader in the industry. More than that, that particular model has zoned support in the middle of the mattress where one tends to weight most, and we are a fan of that, as it means support and comfort. Do you have any bed bases that can accommodate a brass headboard? Hello! I’m wondering what you think of the tuft and needle mattresses. http://www.tn.com Thank you! Thanks for the question! For Tuft and Needle, it really comes down to what you are looking for. For us, the most important takeaway about their mattresses is that they don’t use memory foam. We have found that, in high quality mattresses, memory foam is great at reducing tension, pressure points, and pain. Without memory foam, their mattresses are not going to adapt as much as most of the mattresses on our Top 10 list. Tuft and Needle is very proud of the fact they don’t use memory foam (it’s called out multiple times on their website) and for customers who want to avoid memory foam, Tuft and Needle might just be the right fit. Thank you for this site and review. Awesome. And the advice in the comments are so valuable. Here is my issue. My 15 year old is in a bunk bed…and we need to replace the twin for him. I’ve looked at EVERYTHING. From Avocado…Casper…Nectar to Sealy…Serta and those. He is an athlete, so sleep is important. He runs “hot’ at night. And he is a hard sleeper (flops, tosses and turns). I want to get him a good matress, but not break my bank! (he is only 15 and will soon sleep on a dorm matress…). Any recomendation would be helpful! Thank you. Thanks for the question. We know it can be difficult finding a good quality mattress for a teenager that doesn’t break the bank. Normally, we’d advise that you consider upgrading your son’s mattress from a Twin Size to a Full or Queen Size, that way it would last him well into his college years or when he first moves out of the house. That makes the higher cost of some of these mattresses much easier to bear, as it is an investment that will last years. However, since you are replacing your son’s Twin bunk bed mattress, this will most likely not be a good option for you. Given that he is a “hard sleeper” who sleeps hot and is an athlete, we recommend a mattress with high quality member foam, that is breathable, while having Celliant Technology which is a great feature of athletes. 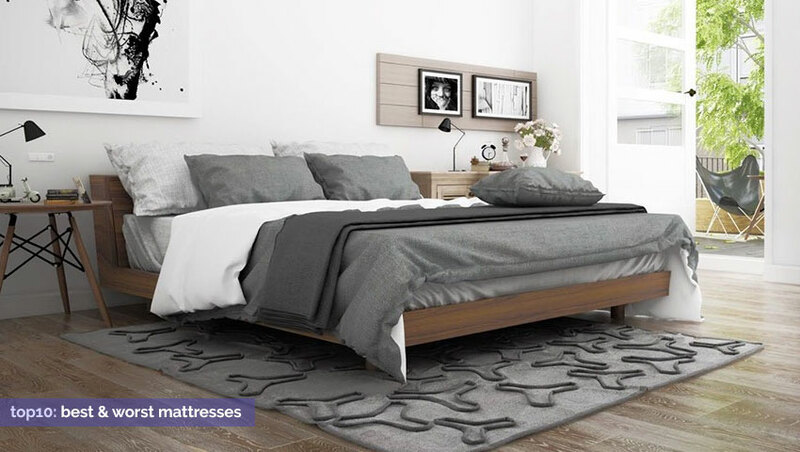 If the AS3 Twin, which is on sale right now for $899, is a little more than what you want to spend, we recommend you look into Bear Mattress which, as far as we know, is the only other brand to feature Celliant Technology. I’m looking for some opinions on a mattress that wasrecommended to me. Anyone familiar with this model???? What do you think of Naturepedic organic mattresses? Hi Mike! Thanks for the detailed question. It’s good to see you’re doing some serious research before deciding which mattress to get it. It’s an important choice. Based off what you shared with me, I would recommend to you Amerisleep’s AS5. That’s the actually the mattress I currently sleep on. The reasons I recommend it to you: 1st) Given your weight and height, it’s a fantastic choice for a side sleeper with serious back pain. It will comfort your and support you at the same time, thanks to their Active-Flex layer which is designed to be a latex-like material, with the cost concerns and/or allergy concerns. 2nd) It’s a great mattress for couples who are different in body type and sleep styles. The combination of their Active-Flex layer and BioPur layer give individualized support to each person on the mattress. Your fiancé, being 5’9″ and 150lbs, will get the proper back support she needs as well out of the AS5, while you get the side comfort and support you need. So confused on what to get. We bought a sealy trufoam in 2009, and about 2-3 yrs began to sag. We are at a point that we are getting back pain. We both like a medium to firm mattress and he likes it to be cool. We tried looking into Puffy, but also interested in the AS2. Any suggestions or thoughts? We also definitely want the base to lift the head and feet. Hi Holly! I’m sorry to hear your Sealy Trufoam is already starting to sag, after only 2-3 years of use. If you like a medium-firm to a firm mattress, the Amerisleep AS2 might be the perfect fit. It has 2″ of BioPur (plant based, highly responsive memory foam) as the top layer and then 3″ of HIVE (layer of foam with targeted support zones, designed to give you more support where you need it). By using plant-based materials in the construction of Amerisleep’s memory foam, their BioPur material is strong and supportive without being so dense it traps heat. This means Amerisleep customers can sleep cool and comfortable on their mattresses. Also Amerisleep mattresses are expected to perform for 20 years. That means if the mattress, properly supported and well maintained, develops a sag of 3/4″ or greater, in those 20 years, it is defective. I hope this helps and please feel free to reach out with any questions! Your site is helping me so much – I didn’t realize how confusing buying a bed is these day – I’m now looking at the hybrids since I can’t decide one or the other – now I see DreamCloud advertising – what is your opinion of it? thank you so much! Hi Kat! It’s good to hear you are finding a site like this helpful. We too believe in educating our customers about the benefits of a good night’s sleep. You asked about hybrids and I’m glad you did. Hybrids operate under the theory that you can get the pressure relieving support of memory foam with the bounce and traditional feel of innerspring coils; that’s what makes them hybrids, they are half foam and half coil. I have two concerns about hybrids which may or may not be relevant: 1st) By deciding to make a mattress a hybrid, a company seems to be saying that their Memory Foam isn’t responsive, so they put coils underneath it to make it more responsive. Why not just make their memory foam more responsive? Amerisleep’s BioPur is 5x more responsive than the traditional memory foam, it gives you support and pressure relief at the same time. 2nd) Hybrid warranties often require a sag of 1″ or greater, some require as high as 1 1/2″, before the mattress is considered defective. Compare that to Amerisleep’s 3/4″ requirement. Why the big difference? A hybrid mattress puts memory foam on top of coils. That means their foam is not on a flat surface. This can cause the foam to sink in more over time. That’s why Amerisleep makes all foam mattresses and why are mattresses come with a very generous warranty. I hope that helps and if you have any other questions, please let us know. We have found our Nectar to be too hard. We are side sleepers. We need something softer. My arms go numb every night. We also wake up with back lower pain. Hi Myra! I’m sorry to hear you are not getting a good night’s sleep. We hear from a lot of side sleepers who are currently on too firm of a mattress. What is happening is the gaps of your torso and thighs are not being supported properly. This puts unnecessary pressure on your hips and shoulders, leads to tossing and turning (even if you’re asleep!) and other issues such as an arm falling asleep or back pain in the morning. I’d recommend you look into Amerisleep’s AS3 and/or AS4. Both are fantastic mattresses for the majority of side sleepers, given their significant amount of supportive and conforming BioPur (Amerisleep’s plant-based, highly responsive memory foam). The Mattress Beautyrest is already hot. And the pillow black ice is hot too . I already bought Beutyrest and I can feel is very hot . The pillow black ice is hot too already. Please carefully buying your next mattress. I really u don’t want to recommend any . What do you think about temperpedic memory foam mattresses with cooling? bought a Simmons beauty rest 15 years ago, I will be replacing it with the beauty rest desiree. Tried a lot of mattresses for hours in the store. The sales people go to school on how to sell you a $7000 tempera pedic. I almost got caught in the trap! Thankfully got out of there and will settle on the beautyrest, I am sure it will last another 15 years. $2000. What about mattress weight? I bought a Sterns a few years ago. Not particularly comfortable, but it’s WAY to heavy. It is difficult to change sheets and make the bed as the mattress is so heavy. I can do it now – but in a few years? Any comments about mattress weight? I love my waterbed. No dust mites. No body sludge. Heated. So comfortable. Youbcsn get them with baffles if you want a firmer option and increase or decrease the amount of water to adjust for your comfort. I’ll never buy anything else. Sanitary. No funk. The Phoebe – Beautyrest Black Ice Memory Foam bed has a 120 day trial period. To my understanding it can only be found at Mattress Firm so you would use their comfort trial which is currently at 120 days. As for it sleeping hot? I haven’t had complaints about it sleeping hot thus far (I work for Mattress Firm). That doesn’t mean those complaints aren’t real however. I do wonder if people are expecting the bed to be ice cold under them after laying there a while (I had a guest who expected just that). In either case, the black ice bed I’ve been sleeping on has been doing great for me so far. Safety can be an issue. You could roll off the bed. The past nine years I have slept on a mattress purchased at EA. It is the Duet and given me eight years of good sleep, but now has a hole in middle so looking for new mattress. I have been reading the comments about various mattresses and it is very disappointing. Also view some videos on cutting and showing what is inside these mattresses that are priced several thousand dollars and it is shocking. Finally returned to EA after taking their online survey as to which mattress would be best. It is the Signature Plush. They have a new upgrade named the Signature Platinum Plush and it felt great. I just would like to know what mattress manufacturer makes this mattress for EA. In the past, it was Kingsdown but now changed. Anyone know the new maker of this mattress? Thanks. Sorry, what is EA? Thanks! Best mattress for the dollar? Looking to spend around 500 – 600. My friend recommended the lullbed? It compacted in a small box and takes on the shape after its opened. Anybody have a feedback on these kind of beds? In the past 19 years my husband and I have had a water bed, Sealy ,Serta, Sleep Number, Simmons and a Temper Pedic. My husband still wakes up with shoulder pain and I have night sweats with a cooling mattress cover and high dollar cooling sheets with the Temper Pedic. Wish they would just have the old mattress that you could flip twice a year and lasted more than these high dollars one. When you go shopping for a new mattress all you hear is “You spend 8 hours a day sleeping. Don’t you want it to be the best 8 hours of your day?” $$$$ is all they are seeing. Three weeks ago I bought a Sealy Thurlou plush Posturepedic mattress ,I have NOT had a good night sleep. It’s Causing muscle damage and back pain. The plush top is nice but once you lay on it for 30 minutes there’s an Indentationand The soft plush turns to hard foam that is hot ! Most uncomfortablemattress I’ve ever slept on. My chiropractor says to get rid of it it’s causing severe damage to my back and sciatic. The retail store will not take it back because it was a clearance Display-item. Help! I need advice please! All foam / innerspring mattresses are a danger to anyone – and I mean anyone. How do you figure? I have a latex / memory foam hybrid and I wake up everyday with back pain. I used to sleep great on a spring mattress with a pillow top. well not for me, I have a beautyrest pillow top in im ready to throw the damn thing away, I had it 2 yrs with a 10yr warranty and they won’t replace it because it has to visually show a sag in the mattress before they replace it from Sears! and I paid $1200 for it, this is the thanks I get. Yeah, I USED to trust Sears, but not anymore. I had trouble with them returning a pair of pants after only 2 months, and they refused. Also, had a problem with my washer / dryer and they refused to help me with that as well. Wanted to charge me $600 to move them. I NEVER shop at Sears anymore. With regard to my own Beautyrest black, I’m also finding it sleeps very hot. But, I bought it from Mattress Firm and they have a 120 day return/exchange policy, so I’m going to try to see if I can get an old fashioned springs mattress that doesn’t sleep hot and is comfortable. Why is finding a comfortable bed so hard??? Sears if awful to work with. They won’t take anything back without a big ordeal and then it takes them forever to complete their promise. I do not shop with them ever. Bought at Elder-Beerman, Dayton Ohio. Over 2 grand for 3 piece set, delivery & old bed removed. Guy folded it up like a burrito to get it up the steps alone (!). Didn’t stop when I asked him to. Store delivery supervisor said that was fine & they would not replace. Now edge wires bending into center over a foot from edge. Store says call S&F. S&F says warranty clearly states bent edge wires not covered. This is so complicated. I just need a mattress that is made with cotton or another natural fiber to keep me cool at night. I think i have to make it myself. I am so frustrated……. Lucia, it is complicated!! I’ve been reading reviews for months and months! Just when I decide on something, I happen to see a bad review, and then start second guessing myself. I’m currently considering Winkbed, but that may change tomorrow. Uggh! You’re right, buying beds IS complicated, especially if you do a lot of online research. There are so many conflicting reviews that it’s hard to get an understanding of what it all means. And Ann, Reviews are GREAT, but for something like a bed it gets difficult to use them. Everyone has a different body type and different needs. My advice would be to stop reading the reviews and try something for yourself. You said it yourself — ONE negative review, out of how many positive, cause you to second guess a decision. No mattress is going to get 100% reviews. Unfortunately people buy the wrong bed for them all the time. Sometimes they hold on to the belief that firm is that a firm mattress is best. Sometimes its a belief about gel foams. For example, I had a pleasant couple come see me at my job (I sell beds fyi) and they were using the Consumer Reports booklet like it was the holy grail for buying beds. I said something about gel foams (gel does not cool you, it supports you. Unless it gets infused with PCM but that’s another story entirely). That’s exactly what the book said. But, in their mind, Gel was a scam. It’s not a scam — you just have to understand what something is for. I said all that to say this — Go find a bed you can try out in the store. Take your time. Spend a few minutes on it. If it seems comfortable and seems to address your needs, consider it an option. But make sure you get a comfort trial. We’re all human — we can pick the wrong bed by mistake. Comfort trials help provide a safety net to that stuff. I was lucky enough to have purchased a Stearns and Foster 5 years ago . I am 74 and have sciatica pain and have slept on many mattresses . This mattress is unbelievably comfortable ,Its truly like sleeping on a cloud !!! I recommend it to everyone with any kind of back problems…..or just anyone !!! Was it the Estate line from Sterns and Foster? What mattress did you end up deciding on? I bought a Sealy at Sam’s by the time I returned it I was wearing a back brace to bed! After loads of researching the best advice I got was to get the hardest mattress and add your own foam topper if you desire. I had a Beauty Rest mattress I bought in 1980 that is still like brand new. So I went with that. Bought a 2″ foam topper and am happy with that. I had this now for about 5 years and everything is still good. If or when this mattress gives out I will swap it for my old Beauty Rest and put this one in the guest room. This will not break the bank as the hardest one was the cheapest one! Get to the point and tell us which mattress is best to sleep on and bang for your buck..
Not a foam fan. Would like to try the Sealy Hybred Cobalt. My back likes firm or harder so it can R e L a x. The Mafia went into the mattress business instead of ‘going to the mattresses’. After spending hours of research into buying a mattress, I could have spent the time building a better mattress. There is virtually no good way to determine which mattress is the best for you. On top of that, you have to deal with your old mattress as an extra expense–if you can find someone to take it away. The whole process is disgusting with many overpriced and many mid-priced loser mattresses. When it comes to online mattresses- be very careful friends! I bought one at the end of August, recieved it on Sept 2 from Helix. They claim on their website they “..will design the comfortable mattress for you” Thought it would be great. And it was. Until the tail end of my trial period- giving me terrible back pain. In calling to return (within my 100 days) I was told it was expired. Their records showed it was delievered 3 days before mine did. Showed them my records and they decided theirs overruled mine, and that “I simply misunderstood the dates.” Then, I tried to get them to remake the bed because it is not performing in the way in which it is designed to provide “comfort.” I was told the warranty does not cover “comfort,” yet this completely contradicts what they advertise. With most companies these days customer satisfaction is their greatest concern and the customer is always right, NOT here! Since my trial is up and they have their money, they do not care if their mattress is causing me pain. So disappointing where their priorities are. We bought a Stearns and Foster King Size Bed and paid a fortune thinking it would be our last bed purchase that we would have to make. That was 1 year ago and here we are looking again. Sales person told us it was Sag Resistant. Well it is not and we wake up daily in a hole with backaches. Not c sure how they got in top 5. 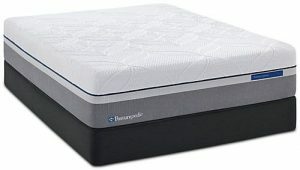 Tempur flex supreme breeze ergo plus base what is the amerisleep equivalent to this ? You did not rate the Saatva Mattress. What is your opinion, if any, about this mattress? Bad, Had two good years with it. Now it sags and back is hurting. Warranty is for 400 dollars towards a new one. Ill take my money somewhere else. I bought a Saatva luxury firm mattress a few months ago and am now having a bad back and left hip flareup. Looking for a new mattress again. One which will not cause me hip and back pain. L. Jean, it’s crazy, this search for a decent bed! It’s all about coils and gel-infused memory foam in the mainstream market. Sorry to hear about the Saatva as they score highly with certain rating groups. Check out DreamCloud and see what you think. I don’t have it, but sounds delish. What I don’t understand is when manufacturers and consumers talk about a “plush” feel, but it’s rated medium-firm on the firmness scale. Plush is supposed to be soft, but I guess that relates to the very top layer of the mattress. Good luckand let me know what you discovered. P.
I agree. This whole article is a waste of time. Oh how I agree with you!!! Just a regular mattress please. I don’t want all the foam stuff, especially memory foam. I don’t want a monster mattress either. My present mattress is over 20 years old – what a surprise when I went out recently to replace it. I just want to replace my old one that’s been perfectly fine. Did you buy a new mattress? If so what did you decide. I am in the market right now and having the hardest time! I am really torn whether to pick an innerspring or foam mattress. Not sure what is safest for my family. They both have their pros and cons. I would prefer not to spend over $2,000, although you can really find a non toxic mattress for that price range it seems. Ditto. TMI and nothing that points to a simple sleep solution. I agree. This is pretty useless. You have plenty of good information. Though, with all due respect, may I suggest reading up on the correct usage of the words lie and lay. I believe that will help you to be better taken seriously as a mattress and sleep professional.